We know few popular virtual assistants like Cortana(Interactive),Siri(Intelligent)&Google Now(Useful). 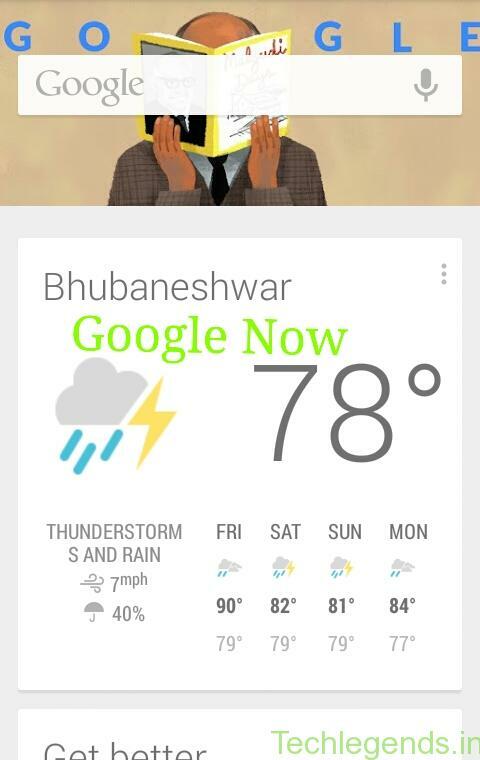 Google Now is getting more useful now ! ! The basic work of a assistant is providing efficient results what a user needs, notifying important dates , waking up the user in time & all other types of important notifications. How Google Now is useful than other assistants ? 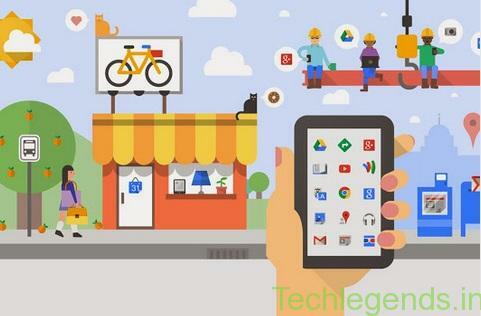 The main benefit of Google Now is that it has been integrated with the best search engine i.e Google. So obviously you will get enhanced results for your questions of knowledge.I would not like to compare other features because every assistant has it’s pros and cons , and no virtual assistant is perfect ! As we already know that Google Now is the knowledge box winner so it is concentrating more on getting useful rather than humanly-interactive(which it should also contain to make a user happy). Well,Yes it’s the best part of Google Now it is getting more useful.Google Now is far and away the best to it’s ability to contextualize information from your Calendar and Gmail to send you alerts or notify you when you need them. And this week Google Now introduced it’s new feature which makes it completely different from other assistants. It can keep track of which phone or internet or education or any other loan bills are due . 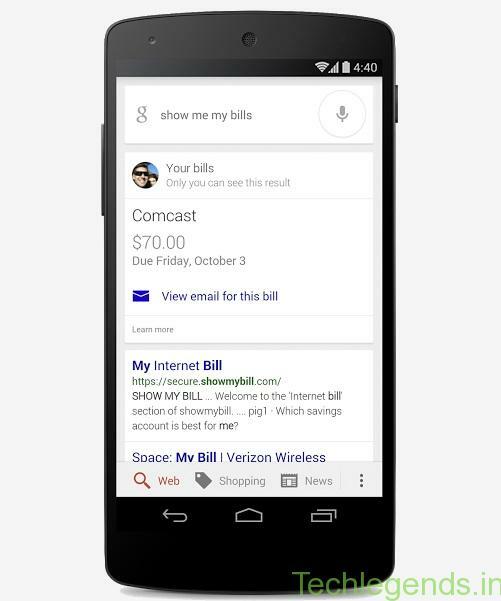 When you practically experience it just say ” Okay,Google.Show me my bills” .Then it will crawl through your Gmail and display you the bills which it finds in the inbox to be paid. It is a nice system to have in a virtual assistant which the android users will love of course and also I Phone users can experience it through the Google App. What Google says about it ? ? When you can’t remember whether you’ve paid your bills—or you simply can’t remember how much money you need to pay—you can now just ask Google. If you have the payment due date and amount in your Gmail, you’ll see a quick summary of upcoming and past bills. Pretty handy, huh? Tell us in the comments section below what do you think about it .